WORLDWIDE: It is a busy market out there, full of worthy products, and the task we set ourselves was to sift through the turbines that were commercially available in 2012 to identify those that deserve celebration. We then went one step further to look at components, considering prototypes too. We looked for innovation and excellence, outstanding performance and functionality, technology and market impact, and proven or potential contribution to industry progress. We considered market leaders and lesser-known products to create a shortlist of standout products. Of course, this cannot be a definitive selection and we recognise the value of the many products not listed. We assessed the credentials of each product. 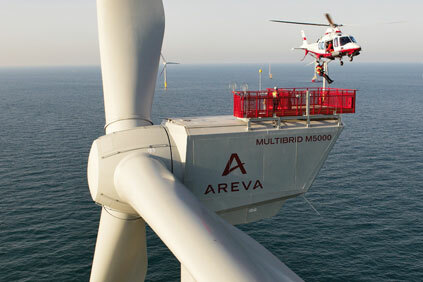 For turbines, merit was given for excellence in the following features: design; reliability record; fitness for purpose; ease of installation; flexibility for location; grid connectivity; and use of technology. Shortlisted products were then scored according to design features and industry impact, and our top three were chosen. Turbines were split into three size categories. Drivetrains and rotor blades, as key drivers for technology advancement and cost of energy, are separate categories. Our final category is for innovation. While some radical technologies are essential to push boundaries, they may not necessarily become commercial hits. Small-step evolutionary developments may be less eye-catching but have an important impact on industry progress. All were considered. 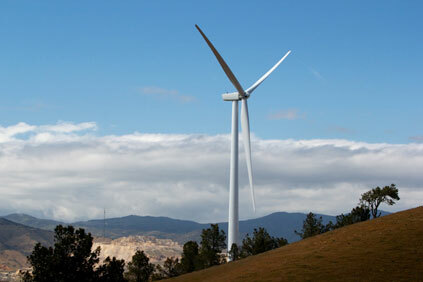 What follows are Windpower Monthly's top products of 2012. Recent years have shown considerable innovation in this category. And, while Vestas deserves the credit for first introducing a 1.8MW turbine with an unusually large 100-metre rotor, it is major US manufacturer GE that is widely praised for kick-starting today's large-rotor trend with its 1.6 model. It is a design configuration that combines modest generator power with a super-size rotor, offering great potential for pushing down the cost of energy. All credit to GE for taking a fresh look at the 1.5MW series, first introduced in 1996, on which this model is based. Most importantly, the choice for a 204 watts per square metre specific power rating enables this turbine to achieve very high capacity factors previously reserved for really high wind onshore and offshore sites. The 1.5MW Vensys 70/77/82 product family has its technology roots in the smaller 600kW Genesys 600, launched in 1997, and the later 1.2MW Vensys 62. Notably, this model was developed in an adacemic environment by a professor and student team, and became a major success story after Goldwind of China began licensing it. One innovative feature is a patented toothed-belt pitch drive - a simple solution, but one that greatly reduces maintenance needs. Its in-house- developed passive, air-cooled outer-rotor generator, in which the rotor part with inward-facing permanent magnets turns around the stator, removes the need for external cooling fans - another uncomplicated design solution that is likely to reduce maintenance requirements. 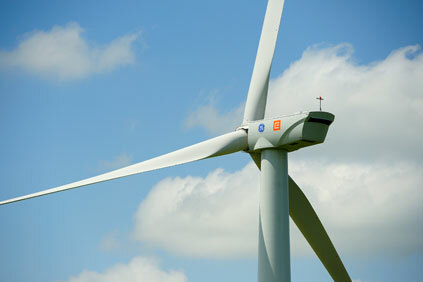 The popularity of this model is shown by company figures of a cumulative installed base of 11.7GW in July 2012. This product has a parallel model in the Gamesa G80 2MW, resulting from a technology transfer as part of a company split in the early 2000s between Danish manufacturer Vestas and newer Spanish maker Gamesa. The 2MW V80 retains the same drivetrain principle as the G80 - a non- integrated model comprising a main shaft, two main bearings and a three- stage gearbox. This design is also popular in larger offshore models, particularly because gearbox and rotor removal for maintenance is simplified. In 2003 Vestas increased the rotor size for a sister V90, model, later expanded further with the V100 version. When the turbine was developed, it was praised for its low head mass and, as one of the biggest suppliers of this drivetrain concept, the combined global impact for Vestas of these turbines has been substantial. It has been widely distributed and is still a major volume product. In 2011, the model was upgraded to the GridStreamer, involving a switch to a single-cast main shaft housing with integrated bearings instead of two individual bearing blocks. This aims to give superior structural strength and stiffness. It also switched to PMG to meet future grid requirements, specifically for markets with high wind-power penetration. 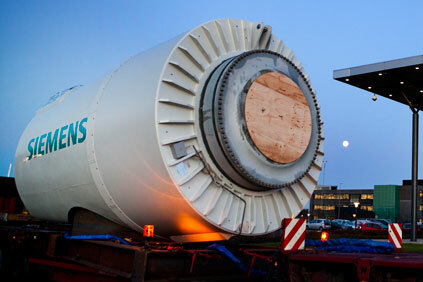 Siemens introduced the 3MW direct-drive turbine model in 2009, rejecting the rear-mounted PMG of its earlier concept 3.6MW model and using instead a front-mounted PMG, with a 101-metre rotor. The large-diameter, hollow, stationary main shaft allows for simple service access to the rotor hub. The turbine series has a single rotor bearing with a new outer-rotor liquid-cooled PMG with inward-facing magnets turning around the stator. This generator benefits from being compact in size with a higher torque compared with similarly rated turbines with an inner rotor. The platform range offers three rotor sizes, including 108 and 113 metres, enabling better location matches, while a scaled-down 2.3MW version and the latest 6MW direct-drive models benefit from similar mass and load-optimising design principles. The E-101 3MW stands out for its quality, reliability and high yield reputation. It is a typical example of a product that benefits from small-step, continual refinements. It was introduced in 2011, the first of a new volume-production platform. The design incorporates the German firm's in-house, electrically excited ring generators without rare earths; most competitors prefer more compact, lighter PMGs. It also uses a new water-cooled generator, a design principle introduced in 2008 in the 3MW E-82, offering superior performance and heat-dissipation ability. The generator design includes innovative cast components for the stator instead of the more traditional fabricated, welded steel structure, improving load distribution, and allowing better positioning of cooling fans. For the E-101 to retain similar transport and installation logistical methods as the E-70 and E-82 series, Enercon standardised some dimensions and masses to enable uniform use of transportation and cranes. Featuring a record 117-metre rotor diameter, this model is aimed at achieving maximised yield levels at lowand medium-wind speed locations, with a particular focus on inland sites with 6-6.5 metres per second average wind speeds at hub height. Under these conditions it is claimed to achieve more than 3,500 full-load hours or over 40% capacity factor. Around a decade ago oldergeneration turbines with relatively small rotors and rather low hub heights would under such conditions have capacity factors in the 20% range or less. The N117/2400 is a platform extension of the 2.5MW Gamma series, with new slender Nordex rotor blades, incorporating carbon fibres in the load-carrying main girders. This improves stiffness and keeps down mass. Despite an extra 8.5 metres length, the 58.5-metre blade is 7% lighter than Nordex's largest NR50 predecessor blade for a 100-metre rotor. The 5MW Multibrid M5000 developed in the late 1990's by German engineering firm Aerodyn Energiesysteme is considered a clever but for a long time undervalued wind turbine technology. A prototype was installed in 2004, and under the wings of Areva enjoys increasing offshore popularity. A successor model version with 135-metre rotor diameter is in development. Multibrid stands for Multi-megawatt and hybrid - a game changer as it offers a new hybrid drivetrain solution between direct-drive and high- speed geared, aimed at blending low head mass and high reliability. The drivetrain comprises a single rotor bearing, a single-stage planetary gearbox and a low-speed PMG, incorporated into a single load- transmitting cast structure. M5000 generator bearings form an integral part of the gearbox assembly. Against the typical roller-type bearings that dominate the market, Areva's slow-rotating slide, or journal, bearings for the gearbox shafts are compact and offer long service-life potential. Full enclosure of sensitive components has been achieved to combat the aggressive offshore environment. Noteworthy is that faster, two-speed hybrid systems with smaller PMGs and reduced use of rare-earth metals have become a major industry trend because they are currently considered superior for cost of energy. This 3.6MW pitch-controlled, variable-speed wind turbine with 107-metre rotor quickly grew from a prototype in 2004 to become the "offshore workhorse" and a major success. In 2009, the 120-metre rotor model appeared. The non-integrated drivetrain design, with a two-bearing main shaft support and three-stage gearbox, is similar to Repower's 5M/6M turbines, with one difference being Siemens' four-pole, squirrel-cage induction generator, requiring a "full" (100%) converter. The advantage is that it avoids use of slip rigs, giving good grid compliance. Head mass remains low despite longer blades, as Siemens has switched to 58.5-metre, slender blades, also reported to help limit turbine loads. 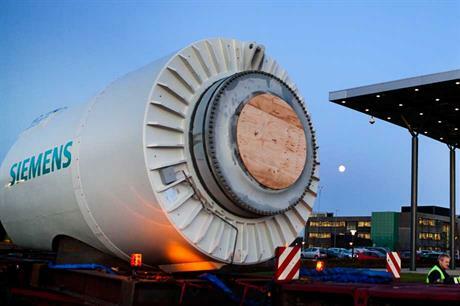 Company figures report a 10% increase in energy capture with the longer blades. Repower's 5MW offshore prototype with 126-metre rotor became the largest, most powerful turbine in the world in 2004, evolving into the 6.15MW model. Its non-integrated, high-speed geared drivetrain comprises a main shaft supported by two bearings and a gearbox connected by a flange. The generator is located off-centre, and the overall layout enables full gearbox exchange in one day, without rotor removal. Frequency converter, switchgear and medium-voltage transformer are sited in the nacelle rear, which is completely sealed against the harsh marine air. The 6MW turbine used some 5MW design reserves to enable a 20% power- rating increase. The design upgrade with a higherrated gearbox and generator resulted only a modest head-mass increment. Quoted yield increments are 12.0-15.0% at 10m/s mean wind speed, 10-13% at 9m/s, and 8-12% at 8m/s. Here we celebrate the honesty of a well-established turbine manufacturer openly announcing a return to a generator design that it now believes is more efficient. In 2012 GE Energy said that it would switch from PMG to DFIG for its larger geared 2.5MW+ turbines. A decision ten years ago not to apply DFIG was based on the expectation that these generators would be unable to meet future grid connection codes. It was also looking to benefit from the reduced mass of the more compact design of PMGs, and the ability of a single generator model to serve both 50Hz and 60Hz markets. A company spokesperson said the earlier decision had proved to be mistaken, stating that DFIG generator technology is more cost-effective and it only requires a cheaper partial converter with 20-35% rated capacity. Also, substantial progress has been made with DFIG technology during the past decade, and it has continuously proven capable of meeting the latest grid codes. A third benefit is that DFIG electrical conversion losses have proved lower than those of PMG. This means a better power curve for larger GE turbines with DFIG. Cambridge and Durham universities in the UK recently developed a medium-speed brushless DFIG, more than 100 years after Siemens of Germany was first awarded a patent on this technology and on which this technology further builds. Reliability is claimed to be further improved compared to common high-speed DFIG solutions by moving to medium speed and eliminating at least one gearbox stage. If the company's claims that a test with a 250kW brushless DFIG has been successful are correct, the next envisaged step is to enter the multi-megawatt class. 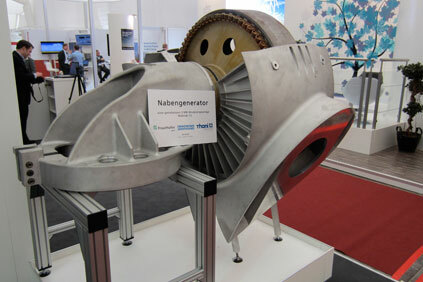 In 2012, the University of Kassel in Germany presented a direct-drive generator design for future 10MW turbines. The envisaged disk-type generator features a very large outer diameter of 22.9 metres, which enables simultaneous reduction in the axial generator length. Such a large generator diameter for a given rotational speed can enhance efficiency and reduce the demand for so-called active material (copper, magnets and magnetic steel), which can reduce overall investment costs of the turbine. The future direct-drive product may include the use of magnetic bearings, which could in theory operate with no friction loss. It is understood that it is still undecided whether permanent magnets or electrically excited magnets would be used for the bearings; each has its own challenges. Current parameters based on modelling,show a fast generator rotation speed of 15.8rpm, with a small five-millimetre air gap that will improve electrical efficiency, and provide a good 1.2kg/kW active mass figure. Further research will concentrate on a small-scale, rotating model for studying operational behaviour; stability and control; temperature management; magnetic bearings; and wind turbine construction and mass. Production plans have not been mentioned yet. 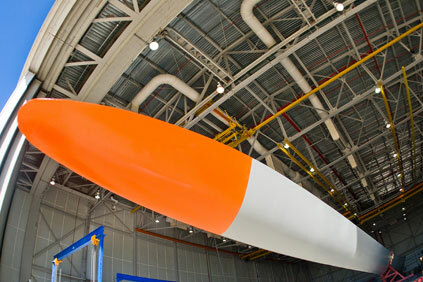 Blade Dynamics manufactures its turbine blades in relatively short, easy-to-handle individual components, fitting into standard 40-foot containers. Not only are these far simpler to transport than single-piece blades of similar size, these smaller parts are claimed to be easier to manufacture at very high quality. Assembly takes place in laser-aligned jigs that are easy to install and dismantle. Core to the design of this small UK manufacturer is an inner-spar technology built from many multi-layer, carbon-fibre-reinforced epoxy sections. Precision moulds can produce repeatable, high-quality, single-spars, which fit into stiff box-type structures, carrying the main loads. The outer shell elements are built predominantly in glass-fibre-reinforced composite, providing aerodynamic cladding and also contributing to the blade's structural integrity. The blade root design is another key feature, reducing the weight of typical blade roots. It comprises opposing thin-wall inner and outer sections shaped like corrugated iron. Laminated together, they create multiple tapering, round holes in the root circumference to take inner steel thread elements for the company's patented blade bolts with inner steel thread elements. These three parts create a very strong and stiff structure, while remaining lightweight. The blade root wall thickness of the D49 with bolt inserts is 20-25 millimetres, compared with a conventional blade root of between 80 and 100 millimetres. German direct-drive wind pioneer Friedrich Klinger has designed what he calls a hub generator - an innovative solution with a ring generator integrated inside the rotor hub. Generally, direct-drive solutions comprise a front-mounted generator located behind the hub as a 'separate', typically product-specific component. A key benefit of Klinger's design over conventional solutions is that it offers much more freedom in generator choice, while the layout fully decouples rotor torque from rotor-induced bending moments. These bending loads are now led directly into the tower via the rotor bearings and support structure without structurally affecting the generator air gap - a critical design parameter. "Because the hub generators are exposed to torque loads only, determining these loads and defining product specifications accordingly becomes much easier and more straightforward," says Jan Wenske, head of the drivetrain and system technology department at applied research institute Fraunhofer IWES, which co-operates with Klinger on the technology's ongoing development. "Most importantly, it offers ample opportunities for product modularisation and standardisation," he says. Wenske fears that continued focus on product-specific drive solutions could potentially work against the key wind industry objective of quickly and decisively driving down of cost of energy.